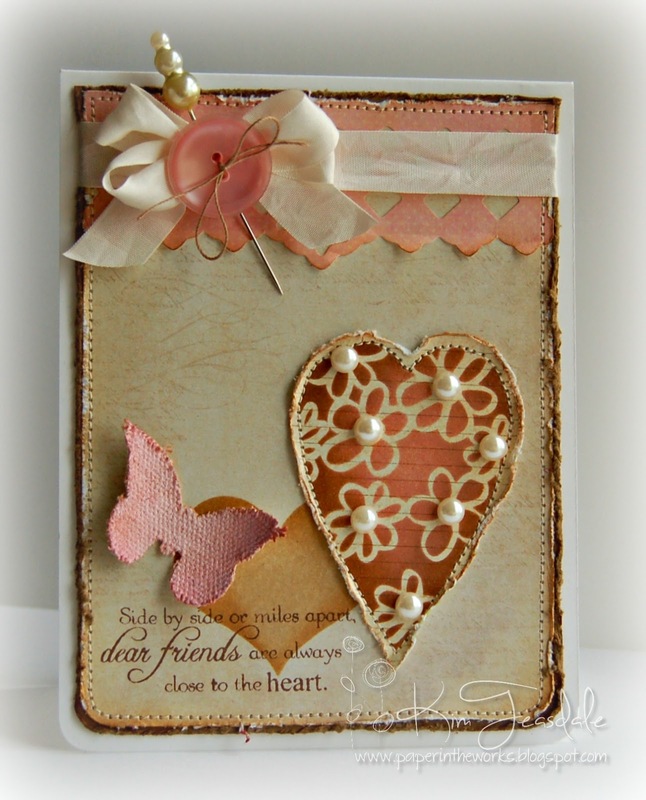 Eclectic Paperie: Pretty in Pink! 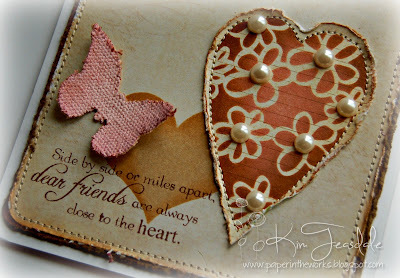 What goes better with a shabby style then, pearls, buttons, twine and seam binding? Maya Rd Canvas Butterflies and Pearl Trinket Pins of course! I did dress up my canvas butterfly with my Adirondack Acrylic Paint Dabber in Shell Pink. It's such a pretty shade and I couldn't resist! Yesterday we released four new Market St. Stamps sets! Purchase any regularly priced set and take 25% off of one of the Market Street Stamps background sets, regularly priced at $12.50. What a great way to grab a combo set for less! When checking out be sure to enter code MSS0812 to receive your discount. This sale will run from 8/21/12 through 8/25/12. Stunning Kim! I love what you did with the stencil...great work! This is just gorgeous, Kim! 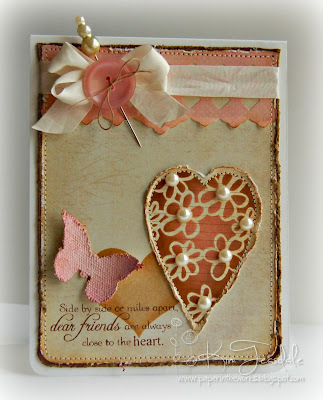 I love that flowery heart stencil! Uh oh, just had to add it to my wishlist! The overall warm and vintage-y look is great!! Very pretty Kim. Great textures.